New Year... Same Old Problems? Happy New Year, ClassAction.org readers! Yes, 2017 is here and with it, a lot of things are changing. When it comes to class action lawsuits, however, it seems that some things will always stay the same – among them, companies who advertise one thing and sell another. Whether it’s St. John’s Wort supplements that exaggerate how much of an active ingredient they contain or aloe vera gel that may not contain any aloe at all, it pays to be vigilant! So, read on for more information on the latest news, updates and settlements. We’ve said it before, and we’ll say it again. When you buy something, you have a right to assume you’re getting what you pay for. Unfortunately, that isn’t always the case – and now, attorneys working with ClassAction.org would like to hear from anyone who purchased certain glucosamine supplements sold at Wal-Mart, CVS and other retailers. 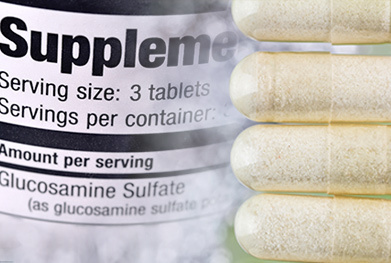 According to independent test results, some popular supplements advertised as containing glucosamine sulfate instead contain glucosamine hydrochloride – a cheaper and inferior ingredient. It is believed that the hydrochloride ingredient does not have the same effects on joint health as glucosamine sulfate, meaning consumers may not be getting what they paid for. If you bought glucosamine supplements, you may be able to participate in a potential class action lawsuit to get your money back. Check out the full list of products under investigation on our site. It’s not a good time for supplements, is it? Like glucosamine, independent tests have shown that several brands of St. John’s Wort may not contain as much of the active ingredient hypericin as advertised. This could mean that the supplements are far less effective than what consumers are being led to believe. While studies have shown that St. John’s Wort can be beneficial at doses of .9 mg per day, lab testing on several supplements has shown that the actual amount in the products can vary wildly, with some containing as little as .166 mg of hypericin. Brands now under investigation by attorneys working with ClassAction.org include Nature’s Bounty, Sundown Naturals, Nature’s Origin, Vitamin World and Puritan’s Pride. If you purchased any of these brands’ St. John’s Wort standardized extract supplement, get in touch with us to find out more about the investigation and how you may be able to get your money back. Training is often part of a job – and many companies offer fantastic opportunities for new employees to improve their skills. Even on-the-job training can boost your knowledge and know-how, and has long been a part of getting a new gig. More and more companies, however, are allegedly failing to pay workers for training time, often because they – and their new workers – do not realize that most training time should be paid. If the training is mandatory, takes places during regular work hours and is related to the worker's job, chances are, the time should be paid. A number of class action lawsuits have already been filed across the country against companies that allegedly didn’t pay workers when they should have. Learn more. In more than 30 states, skilled trade workers, such as auto repair and construction workers, must be paid a “prevailing wage” when working on contracts for the government. Prevailing wages are typically higher than the state minimum wage and include hourly and overtime rates, as well as certain benefits. Unfortunately, some companies have come under suspicion for failing to pay employees the proper prevailing wage – but fear not! Recently, several lawsuits have awarded compensation to rail workers, tugboat captains, deckhands and others who were denied higher pay rates under their states’ prevailing wage laws. Learn more. USPS Failing to Deliver on Background Checks? The Fair Credit Reporting Act makes it clear that companies must follow certain rules when carrying out background checks. These rules include providing written disclosure that a background check will be carried out and, in the case of applicants who aren’t hired because of the background check, a copy of the report and their legal rights. Now, as part of a new investigation, attorneys working with ClassAction.org want to hear from anyone who applied to the United States Postal Service (USPS) between January 2015 and October 2015. They have reason to believe that USPS may have carried out illegal background checks and that, as a result, some applicants may be owed up to $1,000 each. Read more. The Federal Trade Commission has announced an agreement with several automotive sellers, including CarMax and Asbury Automotive Group, that requires them to disclose the status of any recalls affecting used cars. The settlement is aimed at reassuring consumers concerned about buying used cars that may still suffer unfixed problems following a recall. The deal covers vehicles purchased as far back as July 2013 – and now, companies will need to let their customers know by mail if their cars are affected by an open recall. Read more. Debt Collection Letters – What’s The Deal? Being in debt is never easy, and collection letters only add to the stress. Consumers may not realize that collection agencies’ methods are sometimes illegal – so we’ve put together a guide to some of the most common tactics to watch out for. Remember, knowing your rights is half the battle! Read about eight of the most common misunderstandings and dodgy practices in our class action trend watch. We all know you should take beauty products’ claims with a grain of salt. And now, L’Oreal Paris’ Advanced Haircare Total Repair 5 Damage Erasing Balm is the latest product to be the subject of a proposed class action lawsuit after one shopper argued that the company’s claims couldn’t possibly be true. While L’Oreal says its balm will repair “up to one year of damage in one use,” the plaintiff in the suit asserts that, while the product may temporarily make hair look healthier, it’s not actually doing any “repairing.” Read on. You might remember claims that some companies are selling aloe vera products that don’t, in fact, contain any aloe vera. The list of companies caught up in the allegations is long, and now we’ve added one more to our investigation: Trader Joe’s Aloe Vera Gel Body Moisturizer. It’s concerning, to say the least, and if you have aloe in your cabinets, you may want to read more here.